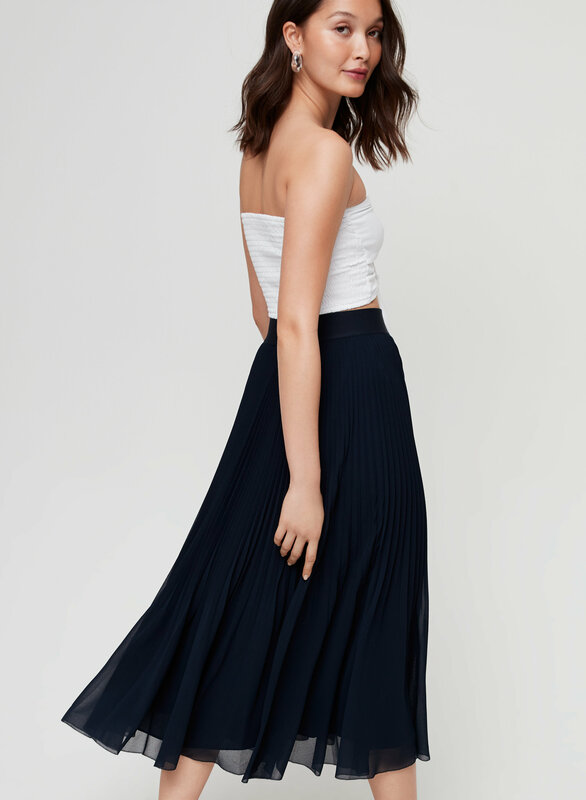 Styled with daveney tube top . Swishing and sashaying encouraged. 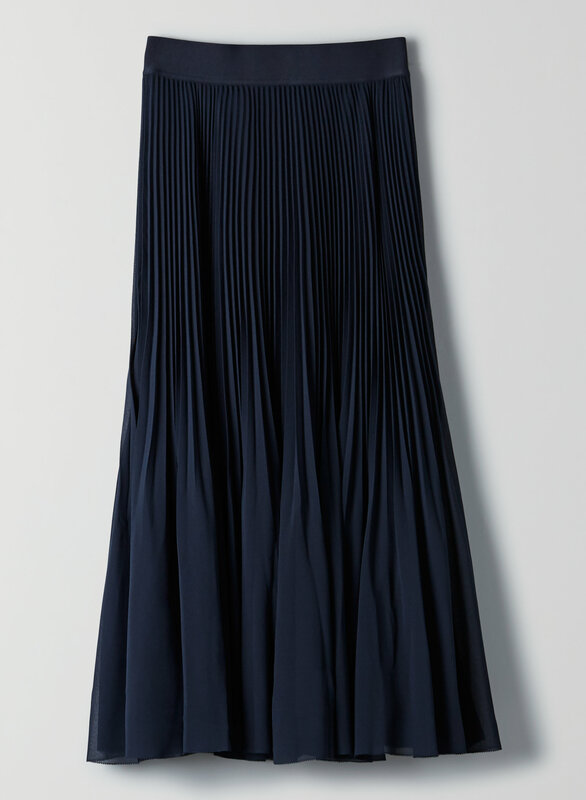 This dramatic A-line skirt is made with an elegant chiffon that showcases the delicate sunburst pleats. A soft, wide waistband is flattering and comfortable. 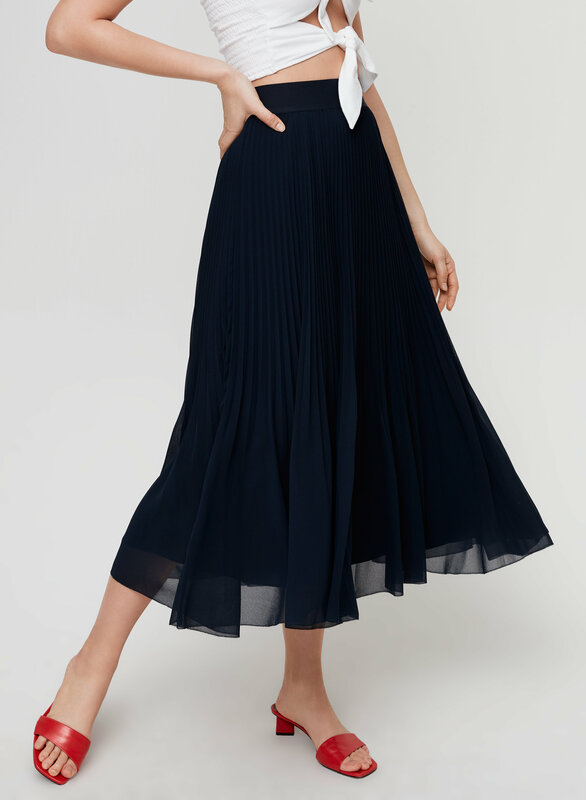 Plus, the permanent pleats will keep their shape.